Do you know there’s a hidden gem in Changi Village? 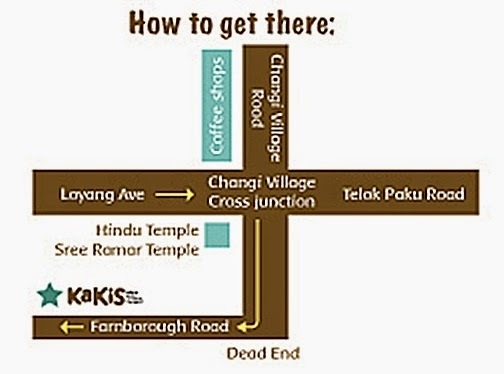 Kakis Bistro & Bar is located at a corner of Changi Village, by entering Kakis I feel like I’m surrounded by Greenery and Nature. It’s rare to find an eating place in Singapore which you can get close to the nature and enjoying the fresh air in the greens. Kakis Bistro & Bar is also a perfect hangout place to get together with your friends and colleagues. Get away from the city and enjoy a different atmosphere, release your stress from work. Sounds Great isn’t it? Not to miss out The Passerby, Live band performance at Kakis Bistro & Bar. The Passerby will perform every Friday night at Kakis. 2 passionate young individuals playing their hearts and souls out, so you could feel just what is truly within them. Jaye told us about her passion with fitness, food and wines. She gave up her stable job, followed her passion and started this business at Changi Village. Jaye is also a certified fitness instructor in Zumba, Bokwa, Aerobics, Kickboxing and Personal Training. Instead of giving up her interest, she conduct fitness classes in Kakis! Do RSVP with them via email (jaye@kakis.sg) or message if you are interested! Now it’s time for FOOD! It’s a pity that I couldn’t stay throughout the whole event to try all the dishes and experience the Mojito Making Session. Overall, it’s an unique dining experience for me. Surrounded by the nature and enjoying the food while watching sunset. LIKE Kakis Bistro & Bar FB Page for latest updates! I like this venue, the manager and his team are second to none. We worked / developed a relationship with them over the course of the last year, and nothing was out of reach.